Samsung has launched a new handset 'Z2', it is available in the market at Rs 4,590. 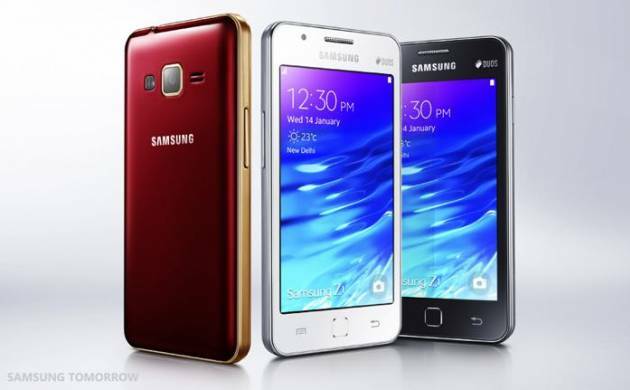 The device, which is also aimed at first time smartphone buyers, is powered by Samsung's own Tizen operating system. "About 55 crore people in the country are still using feature phones and about 10 million feature phones get sold each month. With Z2, we want to help people transition to smartphones," Samsung India Vice President Mobile Business Manu Sharma told PTI. He added that the Z2 is the most affordable 4G-VoLTE device in Samsung's current portfolio. The handset, which will go on sale offline and through Paytm (online) from August 29, will come bundled with Reliance Jio's free voice and data service for 90 days. This is the third handset powered by Tizen OS. The first smartphone, Z1 in January last year, followed by Z3 in October. Sharma declined to comment on the sales numbers of Tizen devices but said the one million Z1 devices were sold within six months of launch. Most of Samsung's mobile phones are Android-based. As per IDC data, 27.5 million units of smartphones were shipped in the April-June quarter of 2016. Samsung led with 25.1 per cent market share followed by Micromax (12.9 per cent), Lenovo (7.7 per cent), Intex (7.1 per cent) and Reliance Jio (6.8 per cent). The Z2 comes with 4-inch display, 1.5 GHz quadcore processor, 1GB RAM, 8GB internal memory (expandable up to 128GB), 5MP rear and 0.3MP front camera and 1500 mAh battery.